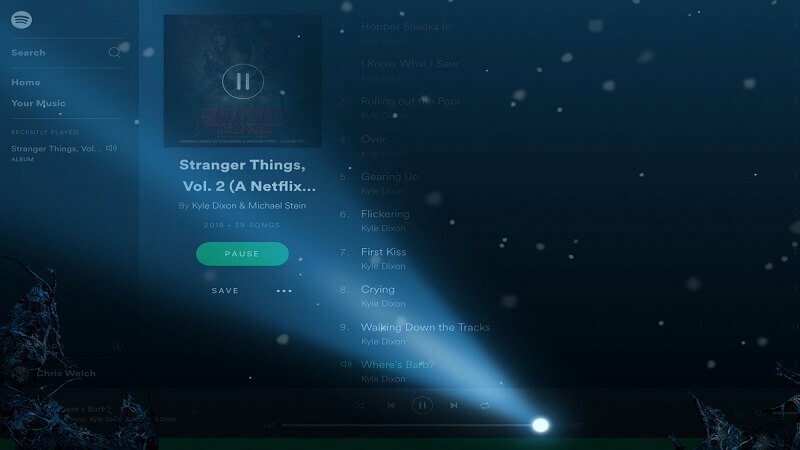 In honor of Season 2 of Stranger Things, which will be available for streaming this Friday on Netflix, Spotify has spooked up their web-player with an easter egg. 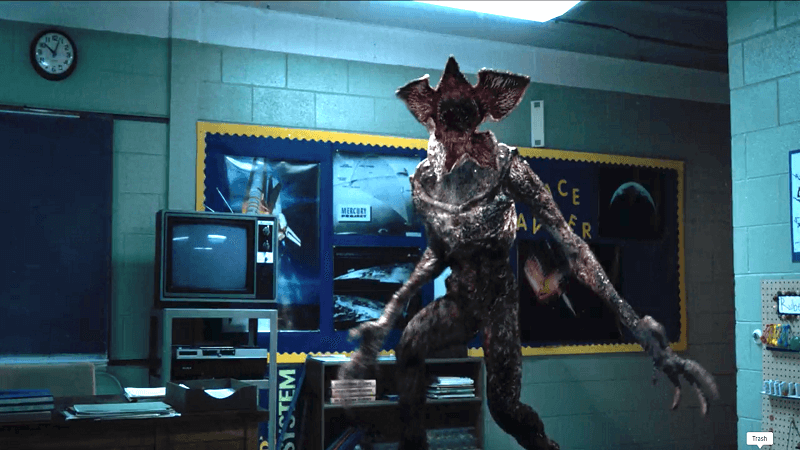 The feature allows a person to travel to the fated Upside Down, the Demogorgon’s home, when listening to either soundtrack for Season 1 or Season 2. Okay… not literally, but the little white orbs and the spotlight provoke a haunting vibe perfect for this time of the year. In order for a Spotify user to activate this feature, they must first select a Stranger Things soundtrack and then pick a song and wait. After a brief period of time, the web-player will be transformed into an Upside Down theme that looks pretty “spot on” in comparison to how it looks in the show. The white spheres and spotlight will disappear if the listener decides to move their mouse or search around Spotify. The feature won’t affect a user’s music or won’t make any changes to one’s device. It’ll simply make things spookier… and get you hyped for the Season 2 premiere on Friday. Nothing wrong with that. The easter egg appears to only be activatable on the browser-based version of Spotify. Listening to the electronic sounds of Stranger Things in the desktop app doesn’t work yet. I’m unsure if it will end up working by Friday, but I don’t see it as a that big of a deal. It’s worth opening up the browser-based version and checking it out… if you’re into that sorta thing. The feature will only apply to Stranger Things soundtracks and certain browsers (like Chrome), unfortunately. 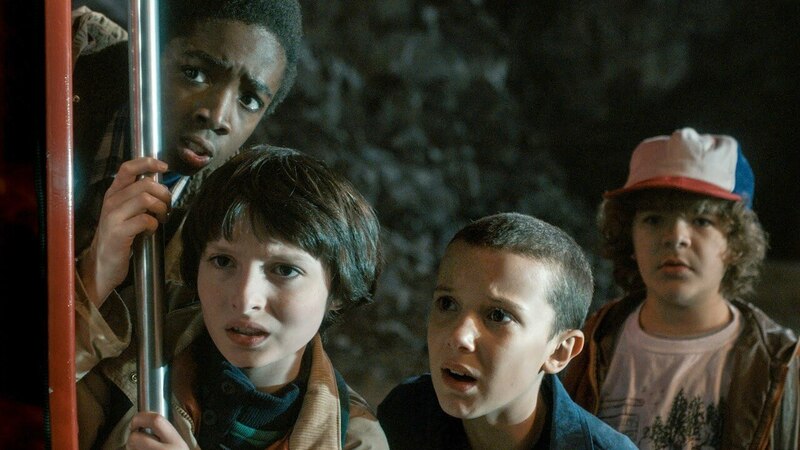 So if a listener has the urge to rock out to some Brand New while in the Upside Down, then they’re going to have to find a way to do that themselves. It’s Halloween, after all; the primetime for arts and crafts. Stranger Things’ second season hits Netflix on Friday. The showrunners plan on ending with the 4th season if the show gets renewed that long. The 3rd has already been confirmed. If you haven’t already, check out the final trailer in preparation for Season 2. And this goes without saying, but make sure to bring the necessities when binge watching a scary show (blankets, friends, and food). It’s gonna be one hell of a spooky ride. Special thanks to The Verge and Megan Farokhmanesh for sharing this secret so that others could enjoy it too!